1. Pre-heat oven to 375 degrees. Place bacon on a baking tray lined with tinfoil. Sprinkle edges on bacon with black pepper (this helps the bacon to shrink less and stay flat). Bake on middle rack for 10-15 minutes to desired crispness. Remove from oven, dab of excess grease and set aside to cool. 2. 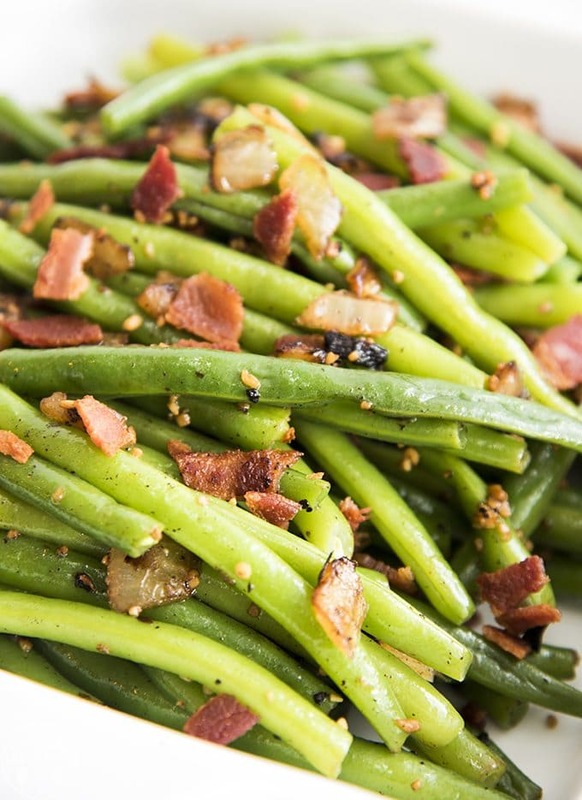 Place fresh green beans in a pot and cover with water; bring to a boil. Reduce heat to medium-low and simmer until beans start to soften, about 10 minutes. Strain and place beans back in the pot. 3. Stack bacon strips and cut into smaller bite-sized pieces. 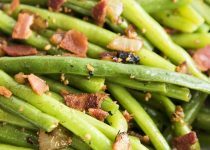 Add bacon to pot with strained beans. Add butter, Lemon & Rosemary Garlic rub, Roasted Garlic Sea Salt and black pepper. Return to medium-low heat and stir together for about 2 minutes. 4. Plate and Enjoy! definitely making this dish soon.